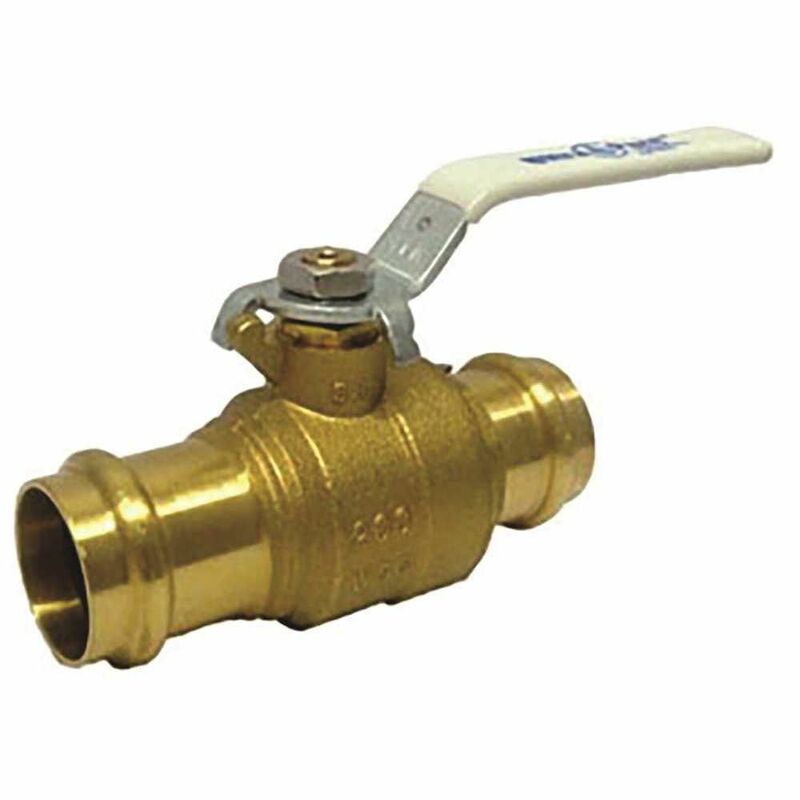 Press Ball Valve 1 In, Lf"
"PRESS BALL VALVE 1 in, LF"
DELUXE PRECISION MACHINED BRASS CHECK VALVE WITH TAPERED SEAT VALVE AND ABRASION RESISTANT O-RING FOR POSITIVE SEALING. STAINLESS STEEL SPRING, NOISE FREE AND CHATTER PROOF ACTION. 1 Inch FPT. High-quality ball valves made in Canada, using North American materials. Dahl Brothers regular and mini-ball valves are compact, tough, self-lubricating and offer a variety of different tamper resistant.operations. Press Ball Valve 1 In, Lf" "PRESS BALL VALVE 1 in, LF"